Help Dora to become a real pirate and collect all the treasures on the boat! Grab all the treasure on each map and unlock the doors to proceed to a new level of treasure finding. If you want to play Dora The Explorer Pirate Boat Treasure Hunt games online you have come to the right place! 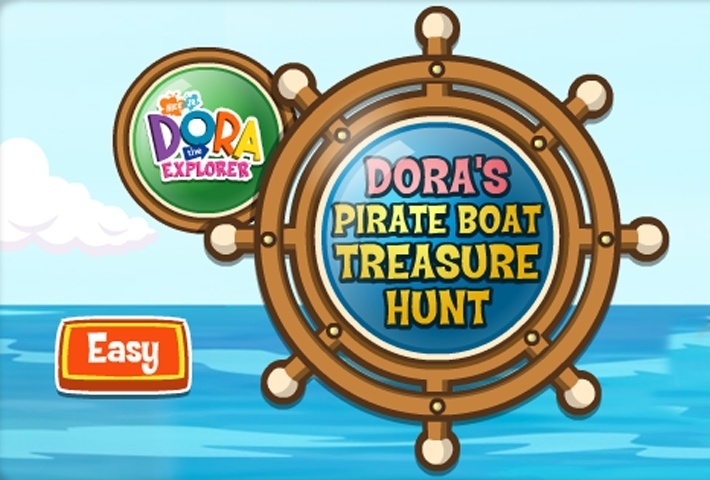 GamesLoon adds new Dora The Explorer Pirate Boat Treasure Hunt games every week. This is your game portal where you can find the biggest collection of free Dora The Explorer Pirate Boat Treasure Hunt games online. Do not forget to rate our Dora The Explorer Pirate Boat Treasure Hunt free online games while playing!